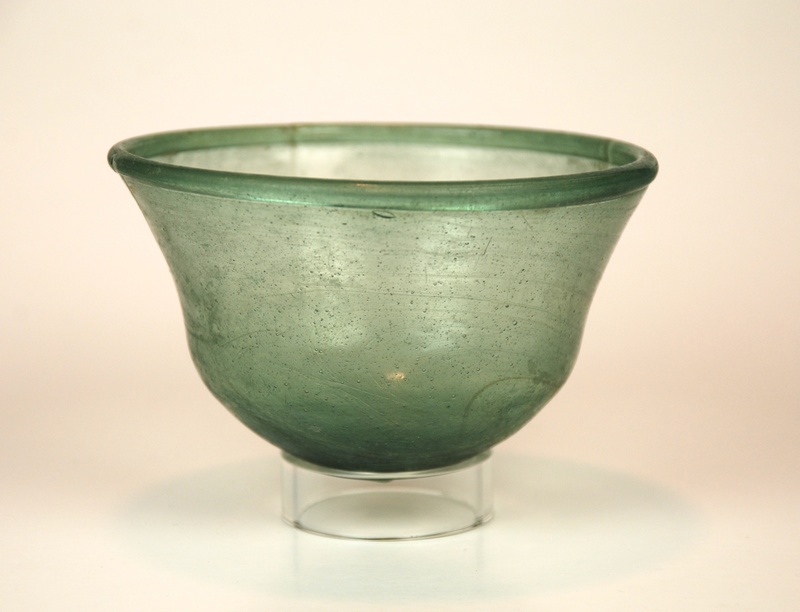 This pale Merovingian green bowl is decorated with a smooth white trail at the rim. Dating from the Merovingian period, bowls of this type have been discovered in Anglo-Saxon graves. This is a Frankish (Merovingian) palm cup of light green glass. The cup has the characteristic rounded form at the bottom and a rounded rim. Ex: Martin Wunsch collection, NYC.